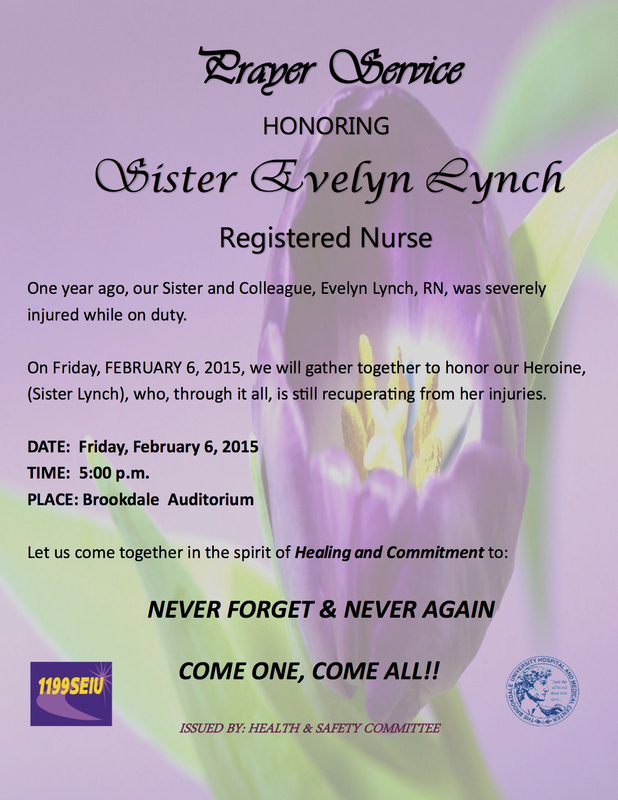 Please join us today in honoring Sister Evelyn Lynch, RN who was injured on the job at Brookdale University Hospital, after repeated citations from OSHA. She is still recovering from her injuries. SEIU 1199 New York is hosting a prayer service tonight at 5:00 PM EST. Let us stand together today and pray to end the violence now.